As the city is just getting back to normal following the inaugural Baltimore Grand Prix, another race is about to roll into town: The Under Armour Baltimore Marathon. The marathon is just one facet of the Under Armour Baltimore Running Festival that kicks off today with the Baltimore Sun Health and Fitness Expo at the Baltimore Convention Center, which is open to the public and free of charge. This year’s Running Festival will feature 25,000 runners from all 50 states and 24 countries. The field of 25,000 is the largest ever in the 11-year history of the event. All the adult races are completely sold out, and waiting lists have been created for some of the races. This marks the fifth straight sell-out of adult races. The Baltimore Running Festival has become a huge draw over the past several years. This has brought many visitors to the city that stay, eat and play. 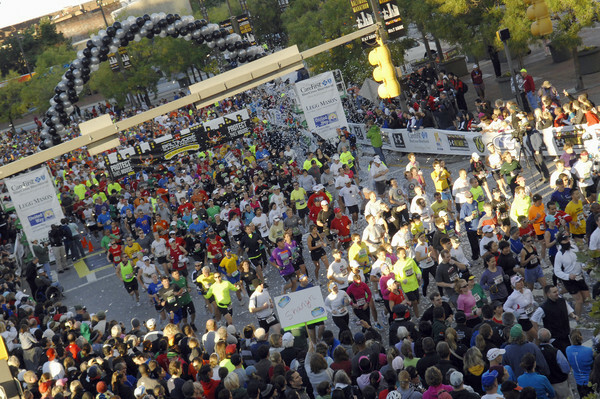 Last year’s race produced roughly $28 million of economic impact for the city. It was estimated that around 63,000 visitors came to town for the event. This year’s field includes more runners, which means more visitors and a higher economic impact is expected for the city. 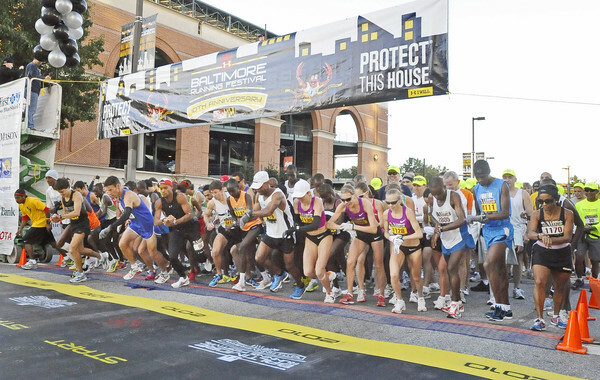 The marquee event of the weekend is the Under Armour Baltimore Marathon. The marathon is a 26.2 mile race through the streets of Baltimore. The course travels through the diverse neighborhoods of the city including the Inner Harbor waterfront area, Federal Hill and Fells Point. For the first time, this year’s course will go through the Maryland Zoo in Baltimore. Zoo keepers will have animals out and on hand and will also be handing out water. Animal tracks will be drawn in chalk along the zoo course. Near mile 21, racers will loop around Lake Montebello, giving runners a bit of a break with some flat terrain. The racer limit for the marathon is 5,000 participants, and this year’s event is completely sold out. While the main event is certainly the marathon on Saturday, other runs will take place simultaneously. There will be a Team Relay race, the Half-Marathon, a 5K Run and a Kids Fun Run. The Legg Mason Team Relay is one of the more popular races. It features a team of four participants that run the same course as the marathoners. The legs vary in length, but range from 5.9 to 7.1 miles. This event is so popular that the organizers of the Running Festival have had to create a waitlist for teams who want to participate in future races. Another race that draws many runners is the CareFirst BlueCross BlueShield Half-Marathon. The Half-Marathon starts at the 13-mile marker of the marathon and deviates from the main course once before rejoining the rest of the field. 11,000 runners will partake in this one race. Runners have to start in waves because the amount of participants is so large. Walkers are welcome to participate in this race, but have a five-hour time limit to complete the race. In addition to the races, there is a 5K Run. 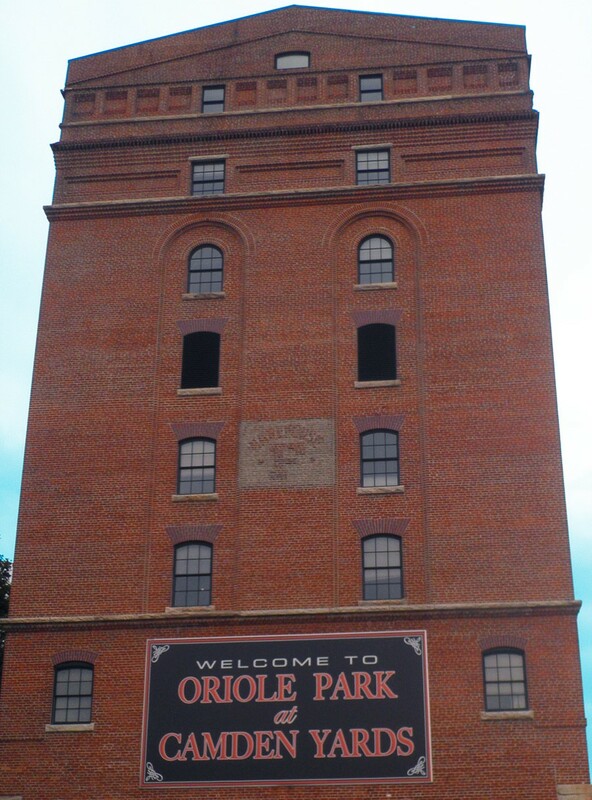 The Baltimore 5K Run starts at Camden Yards on Paca Street and runs up to Preston Street before coming back down Eutaw Street and finishing on the Ravens Walk in front of M&T Bank Stadium. Over 3,500 people will take part in the 5K Run, which is open to all ages. The age limit on most of the races is 14-years-old and up, so race organizers devised a Kids Fun Run for the younger running enthusiasts. The T. Rowe Price Kids Fun Run is for children 12 and under. The racers are placed into age groups that determine the distance they run; 7 and under run 100 yards and 8-12-year-olds run 1/3 of a mile. The kids cross the same finish line as the marathon runners, and all participants receive a medal. There is also a designated Kid Zone at the race that features inflatable games and activities, face painters, magicians and other entertainment acts. The Kids Fun Run is also part of Downtown Baltimore’s Kids’ Month. If all of these races were not enough for you, the Baltimore Running Festival features a Celebration Village where participants and spectators can enjoy food, drink, live music and interactive games. It is also the site of the main stage where medals and awards will be handed out. The Village is free to the public, and everyone is welcome to come and enjoy it. From the die-hard racer, to the super walker, to the casual fan, the Baltimore Running Festival offers something for everyone. So if you’re not busy this Saturday (and if you live in the city, odds are you won’t be able to get very far in a car), come out and support the 25,000 runners trekking through Baltimore and have a little fun along the way!